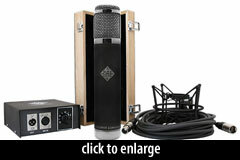 The R-F-T AR-51 is a multipattern tube mic. 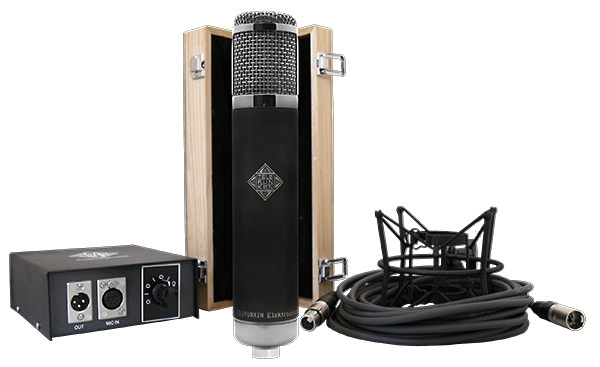 It is presented as a low-cost implementation of the company’s C12 and ElaM 251E microphones — essentially combining the amplifier circuitry of these mics with an imported capsule, power supply, and metalwork. The capsule, as in most of the R-F-T series of mics, is a Chinese-manufactured copy of the Neumann K67. This is a dual-diaphragm, dual-backplate, center-terminated capsule. The diaphragms measure 25mm, on a 32mm backplate bearing the characteristic K67-style drilling pattern. The tube is a NOS ECC81, aka 12AT7. tested for noise by Telefunken Elektroakustik prior to use. Using a 12AT7 instead of a 6072 usually means more noise but not in this case. This tube is the quietest 12AT7 tube we have ever measured. 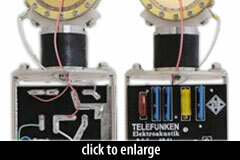 The output transformer is the same as used in the Ela M 251E, custom-wound by Haufe to Telefunken’s specifications. Like the M16 and AK47, the AR51 is capable of nine polar patterns, switchable via the power supply. No pad or high-pass filter is provided. The AR-51 ships with a power supply, cable, and shockmount in a flightcase. The performance of the mic is stunning. While the AR-51 is nothing if not versatile, my favorite go-to application for it was as a vocal mic… In all the vocal applications, the AR-51 captured an incredible level of detail, yet managed to avoid sounding hyped in the top end; in fact, I found it to be relatively smooth-sounding, and it helped even the most sibilant voices sit down in the mix appropriately. It almost always felt like the right mic for the most difficult jobs. 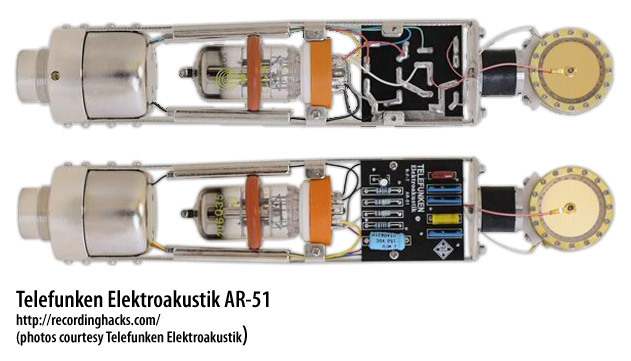 The Telefunken Elektroakustik R-F-T AR-51 is also known as: AR51.